Established in 1921, the National Honor Society is an organization of the world’s highest achieving students. Whether it’s traditional schooling, home schooling, or cyber schooling, the very best and brightest students are recognized for their outstanding achievements by being placed on the national honor roll. But being part of the National Honor Society is about much more than just making the honor roll. It is also a “distinctive multifaceted learning experience that provides a solid and meaningful foundation for life” according to the NHS website. “NHS is a place where like-minded students can grow their character, and improve as a leader through their service and monthly meetings.” said Collin P, NHS President. Here at 21st Century Cyber Charter School, we’re proud to hold an affiliation with both the high school chapter of the National Honor Society for students in grades 10-12, and a junior chapter with the National Junior Honor Society for students in grades 6-9. The 21CCCS has been a chapter of the National Honor Society for over a decade. Participating members of the 21CCCS National Honor Society work with both the school and their community to fulfill the Four Pillars of NHS: Scholarship, Leadership, Service, and Character. Participating members must maintain a GPA of 3.25 or higher, earn at least 30 hours of community service each school year, and complete an Honors Leadership Project prior to graduation. The benefits NHS members have are incredible and can help make their dreams come true. Members of the NHS better themselves, their communities, and go on to make a major impact on the world. This year, 21CCCS National Honor Society members participated in the Walk to End Alzheimer’s fundraiser and collectively raised $2,675 to fight Alzheimer’s disease, have volunteered their time to help new students in orientation, as well as countless acts of service across the state of Pennsylvania. The NHS does a great job of preparing its members for the future by helping students be ready for whatever comes their way after high school. Between the college admission and financial aid planning, service projects, scholarship program, and leadership development offered by the NHS, members are provided with all the tools they need to grow as students and become successful. Becoming a member of the NHS isn’t necessarily easy. It takes hard work and consistent outstanding performance. But membership is obtainable for any student who’s willing to put in the effort. The 21CCCS NHS chapter uses an application process to select its students who qualify based on their academic standing. Promising applicants are then presented to a board of judges to be further evaluated. Once new members are selected, an induction ceremony is held to welcome the chosen students. Honor roll students at 21CCCS are required to help with service projects and attend certain events each year. NHS and NJHS members at 21CCCS also meet monthly to share their successes and how they maintain their outstanding performance in the areas of Scholarship, Service, Leadership and Character. 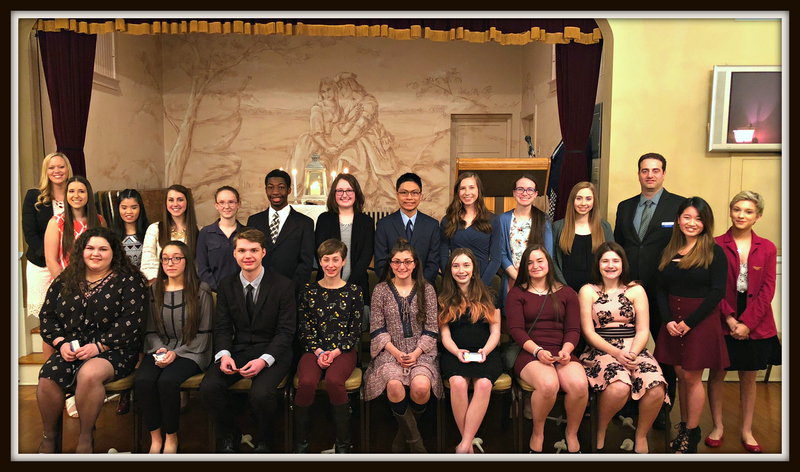 The most recent 21CCCS National Honor Society induction took place in Murrysville, PA., March 27, and Downingtown, PA., April 4.